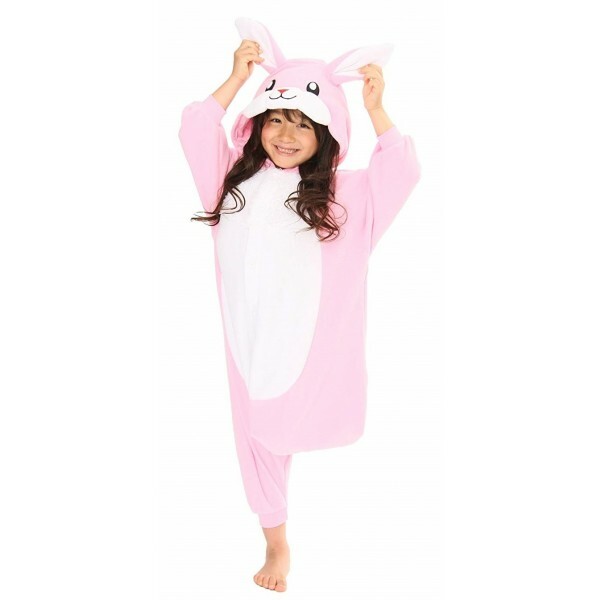 Bring smiles to a few faces this Halloween with this cheerful pink rabbit costume! This kigurumi from Sazac is made from 100% polyester fleece, perfect for either a cold night trick or treating or a cozy night curled up at home. This kigurumi is available in two sizes, one to fit ages 2 to 5 and one to fit ages 5 to 9.